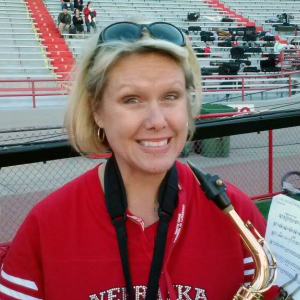 Board of Directors | UNL Band Alumni Association, Inc.
Board Members serve a three year term and are elected by the membership at the annual meeting the Friday night of our reunion weekend. Favorite Memories: Watching the 1970-71 National Championship seasons unfold right in front of our eyes! Traveling with the band to the 1971 “Game of the Century” in Norman, OK, as well as all of the other Big 8 stadiums! Fun Fact: I lived in all-male Abel Hall (room 1304) for all four years, and seeing Johnny Rodgers coming down the hall to the showers with only a towel over his shoulder was quite a sight! Why I serve: I was privileged to be one of “Jack’s Boys”, the 180 member all-male band led by the late Jack Snider. I hope future generations get as much out of band as I did, and the BAA strengthens the current CMB! Favorite memory: Run on for pre-game, freshmen year. In AWE!!!!! Why I serve: Because I feel at home with the people in the band! They are my PEOPLE! Favorite show: the Swing show my freshman year. We performed it at the Fiesta Bowl, too. Favorite memory #1: Standing on the field at attention during band camp and realizing the people around me cared as much about marching band as I did. I found my “people.” They are still some of my best friends today. They “get” me. I also met and married my best friend, Bill Maltas (alto sax). We have two boys, Ian and Zane. Ian is playing trombone for the CMB in 2018. Favorite memory #2: Looking out into the stadium from the tunnel that first game. 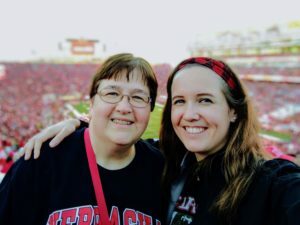 It was my first Husker game ever. It was awe-inspiring. 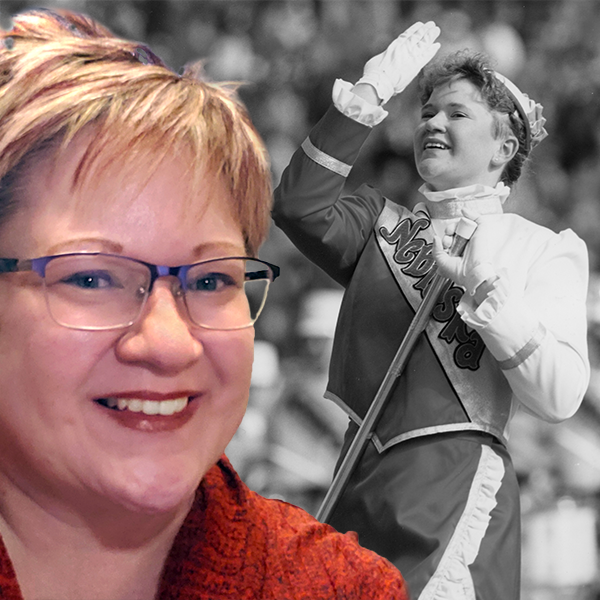 Why I serve: I serve on the Board because I believe we are continuing to build life-long memories and friendships for the current band and our alumni. I got so much from being a member of the band, I want to give back. 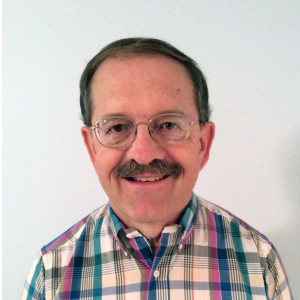 I have made many new friends from being on the Board with different people and have gotten to know many other new alumni from different eras. My band story: I came to the CMB exhibition performances as a high school student and remember thinking, “I have to be in this band!” I was in the pit percussion for two years and played cymbals for three years. I was fortunate enough to get to play with my best friend in the pit, and later I met my future husband in the drumline. The CMB is one of the highlights of my college experience. Favorite shows: My first show, “The Fiddler on the Roof” in 2000, will always be a great memory. It was amazing to perform such fun music in front of an excited stadium of fans. I’ll also always remember the first show we performed after September 11, 2001. The game was rescheduled for a Thursday night and we performed beautiful versions of “Amazing Grace” and “God Bless the USA.” The crowd was so quiet throughout our entire performance but they erupted into a standing ovation when we finished. It was incredible. Why I serve: Marching band was so important to me while I was in college and I wouldn’t trade that experience for anything. I hope to help CMB alumni stay connected, relive memories, and form new memories by performing again with the current band. Favorite Memories: The first double-time & strut onto the field & that first turn where I looked up into the stands to play and there were 90,000 people standing and watching and cheering! The Hail-Mary catch against Northwestern is still one of my favorite sports-ball moments to have experienced. Almost every experience traveling with the band stands out. Too many memories with dear friends from band to narrow down. 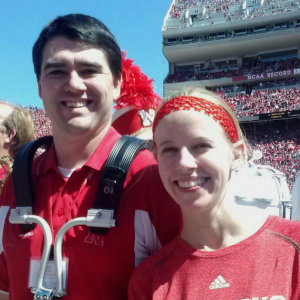 Why I Serve: Serving the UNL bands as a member of Kappa Kappa Psi brought me great joy and close friendships and I hope that I can continue to serve the current students by doing my part on the band alumni board.